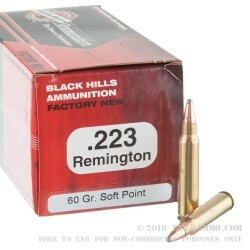 If you like to hunt with your AR-15, Mini-14, or other .223/5.56 NATO rifle, try this .223 Remington ammunition from Black Hills. 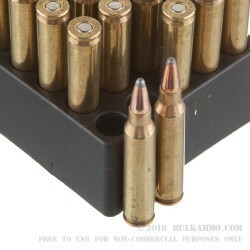 Each cartridge in this 50-round box fires a 60 grain soft point bullet at 3,100 feet per second, producing external ballistics comparable to those of M855 ball. The high velocity of this load helps produce high diameter mushrooming and impressive lethality against boar, deer, and other game. 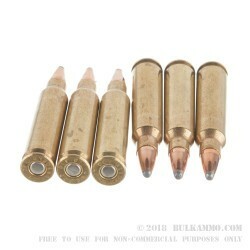 Black Hills ammo is loaded in Rapid City, South Dakota using non-corrosive primers and reloadable brass.